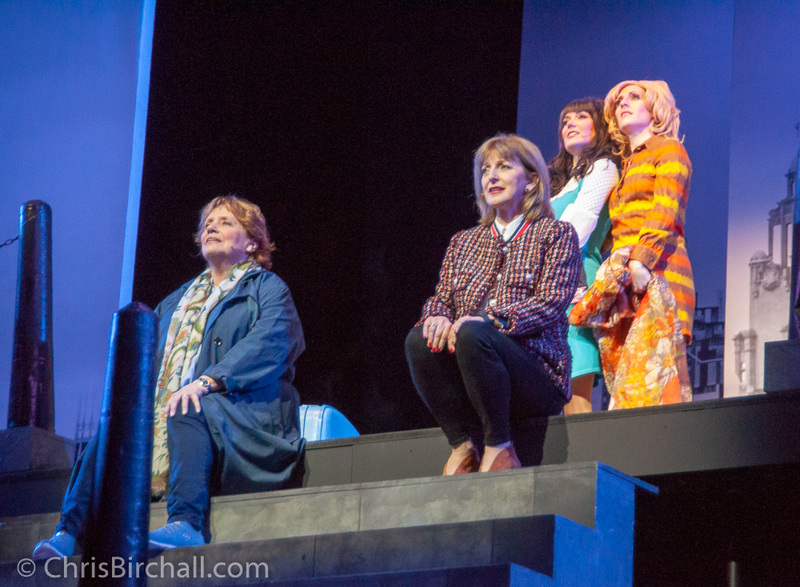 If, like me, you were a fan of the 70s sitcom “The Liver Birds”, you would most likely watch the Royal Court’s new musical comedy “Liver Birds Flying Home” and be expecting much of the same. 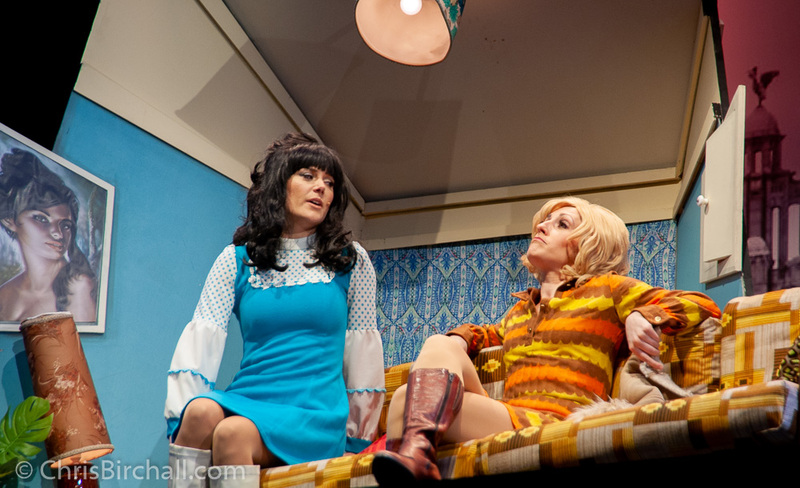 You know what I mean: Same old sit (uation), same old com (edy), only with more mature actors playing Beryl and Sandra. Far from it. 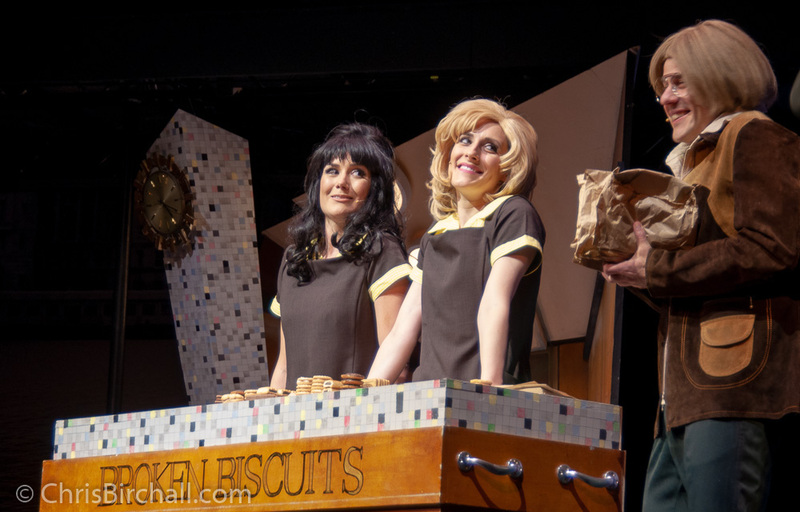 This play is all that and so much more. 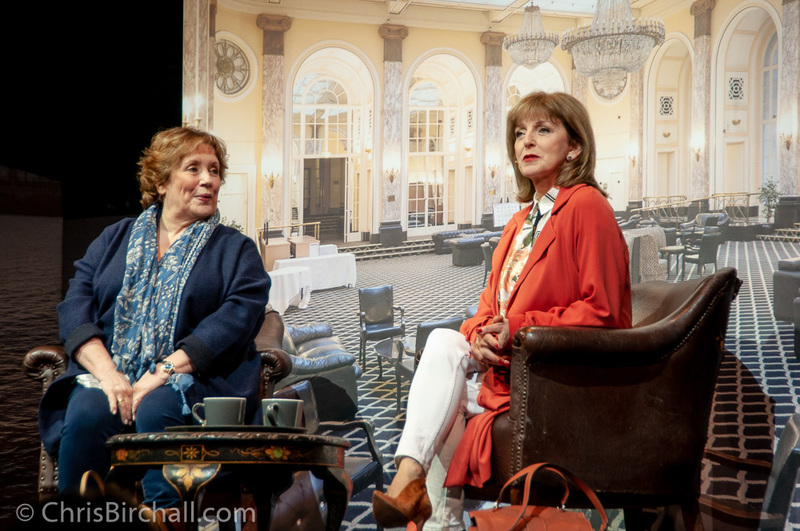 The writers have taken Carla Lane’s original characters, and the circumstances in which they were embroiled when the last episode aired in 1979, and speculated upon the paths their lives might have taken over the ensuing forty seven years. 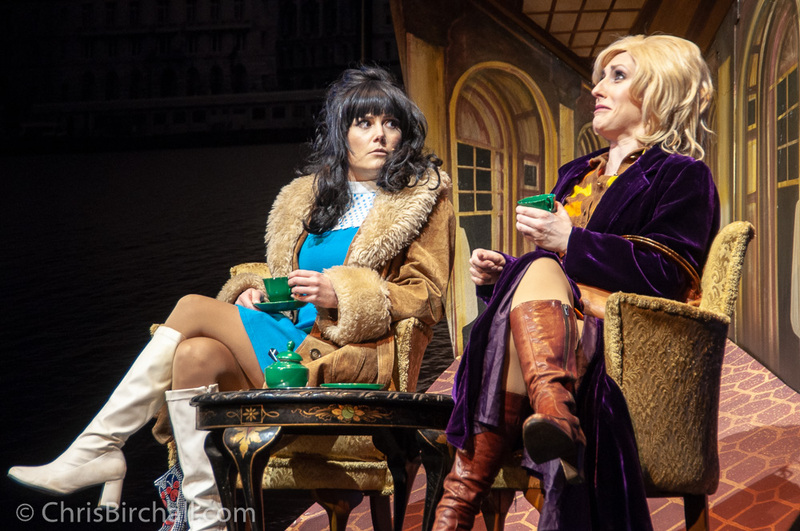 Knowing there were two actresses playing the 1970s Liver Birds (Lucinda Lawrence and Nichola Munns) and with Lesley Molony and Joanna Monro playing their present day characters, I naively imagined act 1 would be set in the past and act 2 in the present. 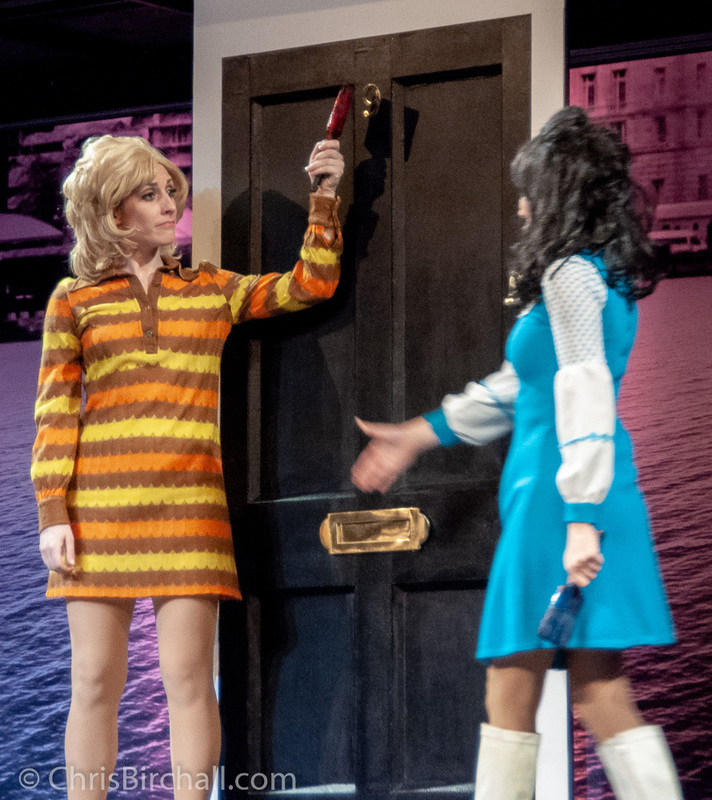 Instead, as the story of their lives unfolded, the two eras were cleverly presented on stage pretty much simultaneously, thanks to some extremely skilful directing and very clever scene changes. Not to mention the inclusion of some fine songs reflecting both eras. It was a tale of friendships, misunderstanding and betrayal. The older birds eloquently portrayed how people embellish the truth about their lives and how the past has a way of coming back to bite you, whilst the younger birds effortlessly painted a picture of life in an era before they were born, in a manner that Nerys Hughes, and Polly James would no doubt approve. 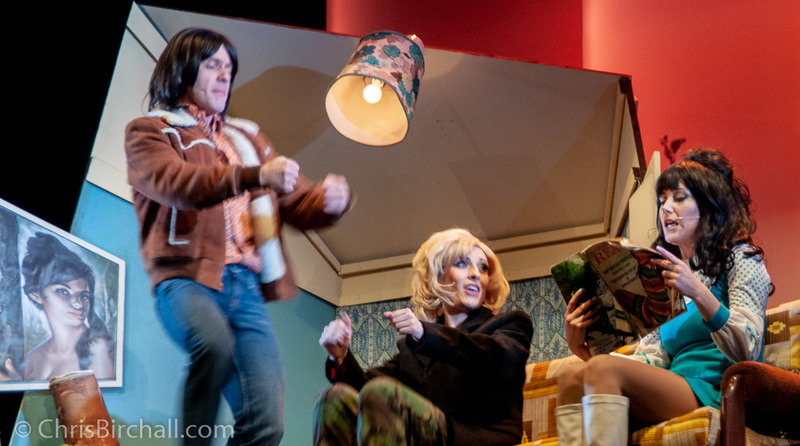 Whilst the ladies were all doing their thing, actor Mark Rice-Oxley worked a hectic schedule in and out of wardrobe and make-up to play the male characters from both eras. 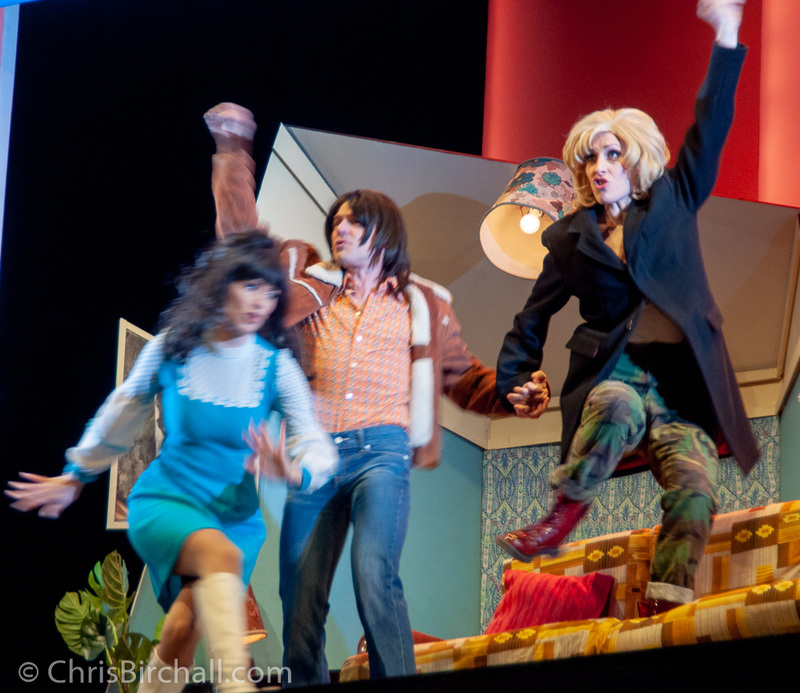 To sum up, this is a fab musical with a super story line, great gags and lots of nostalgia. 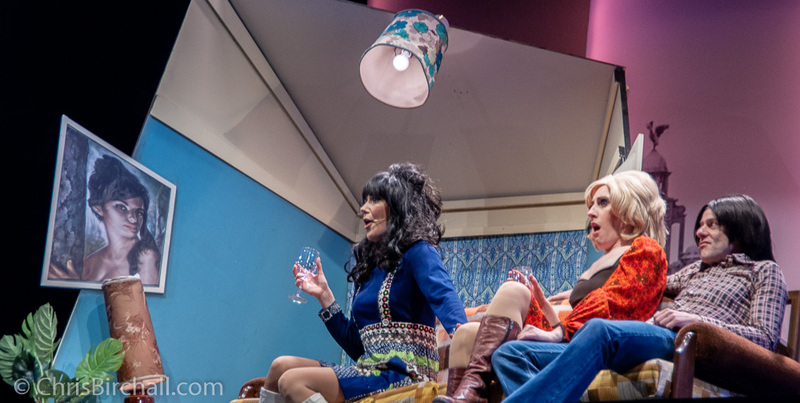 The Liver Birds Flying Home runs at Liverpool’s Royal Court Theatre until 12th May. Having been a fan of his music since the very early days, it has irked me somewhat that I never got to see Paul Simon perform live during any of his UK tours. The one I would love to have caught, of course, would have been that very first one when, during the 60s, the then unknown singer songwriter toured the folk clubs of Britain, allegedly writing “Homeward Bound” on the platform of Widnes Train Station after appearing at Chester Folk Club just 30 minutes down the road from my home town. Although I never met him, a friend of mine did. John Finnan was a regular at that club back then, and had let the visitor use his guitar. During that impromptu floor spot, Simon hit a chord a little too enthusiastically, causing the bridge to detach from the body. During the apologies that ensued, and the promises to send money to pay for the repair (which never actually materialised), Paul Simon ended up missing his connection at Chester Railway Station. Another club member, Geoff Speed, drove the singer to Widnes, arriving just in time for him to jump onto his train. So whatever station the song “Homeward Bound” refers to, it was never written sitting on the platform at Widnes. When I taught myself to play guitar, my bible was the Paul Simon Songbook. All I ever did was strum. Back then, I considered finger-picking to be one of the dark arts. 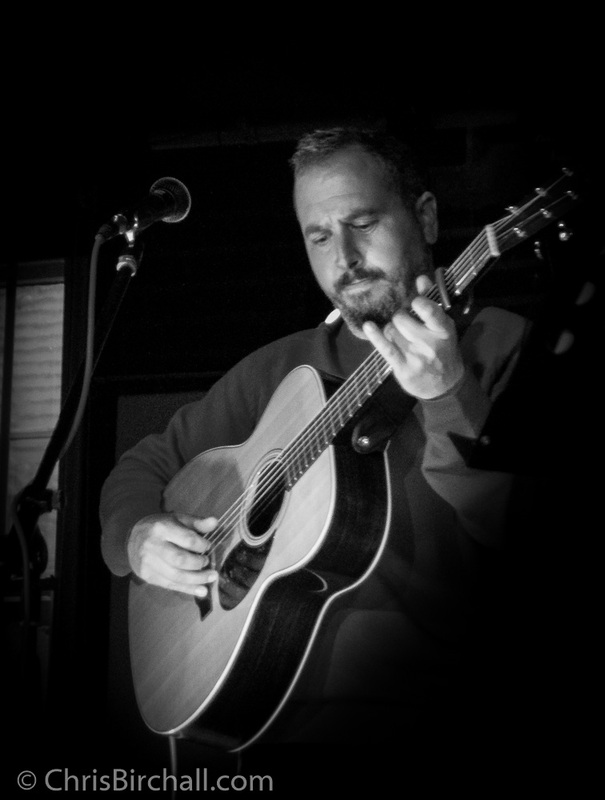 During his many years as a singer/songwriter in his own right, Gary Edward Jones has oft been compared to Paul Simon, due to his stature, his appearance, and his singing voice. And over the years, this had the effect of causing him to avoid covering Paul Simon songs, like the plague. 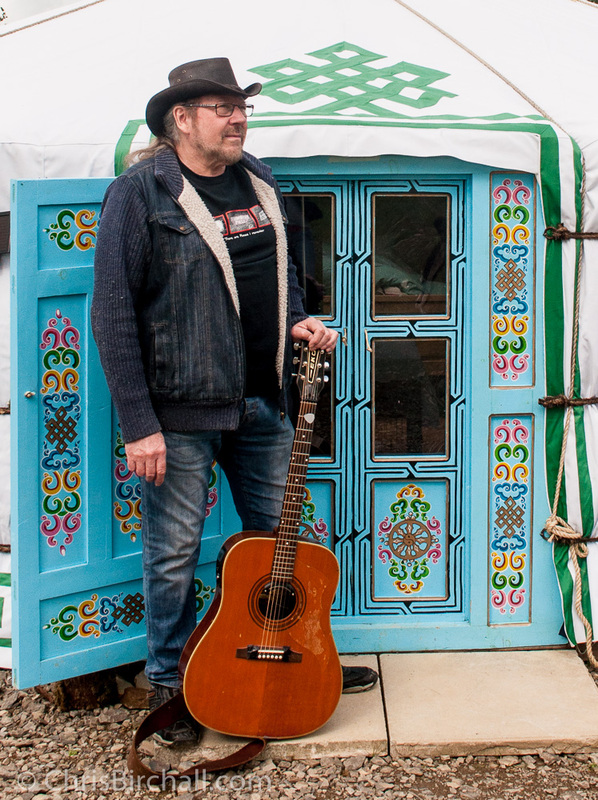 With a successful debut album “The Cabinet Maker” under his belt, Gary decided it was time to see what all the fuss was about, and explore the music of Paul Simon. He immersed himself in it and very soon came to love those early songs. Now, Gary is no strummer but is the first to admit he was a thumb-and-one-finger player,Travis Picking at its most basic, which is how Paul Simon himself started out. For over a year, Gary lived and breathed Paul Simon. He carefully learned all the intricacies and subtleties of his new-found hero’s advanced finger style technique, to the extent you can close your eyes and convince yourself you are listening to those riffs trickling off the fingers of the man himself. And because Gary’s voice has a similar dynamic range and tone, he made a conscious decision not to attempt to copy Paul Simon’s accent, phrasing and diction. He would just sing the songs naturally in his own voice. And the result is amazing. With eighteen early Paul Simon songs in his repertoire, Gary felt the time was right to put them in front of an audience. With a billing of “Gary Edward Jones sings Paul Simon“, the pressure was on. The bar was set high. 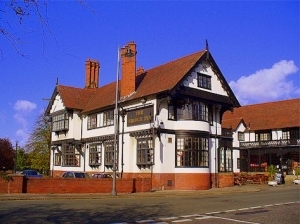 After all, a huge proportion of the one hundred people packed into the Burton-on-Trent’s Brewhouse Cafe Bar, were there because they were Paul Simon fans. He opened with “The Sound of Silence”. From the moment he began that unmistakable opening riff, you could have heard a pin drop. And as the last note was played it was met with rapturous applause. Any doubts had been dispelled. No one was going to leave that night saying “it wasn’t bad”. 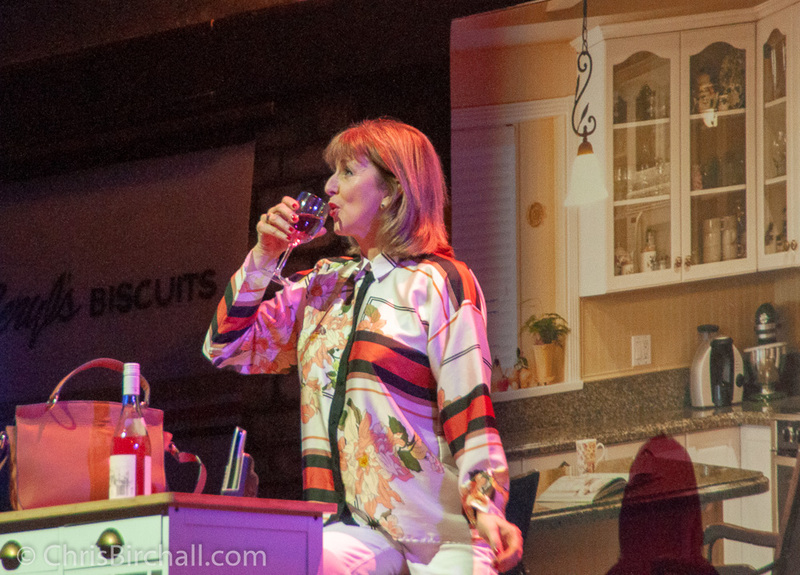 The songs kept coming and the audience was transfixed. “I Am a Rock” was next, followed by “Kathy’s Song”, the first that Gary had attempted in earnest over twelve months earlier. 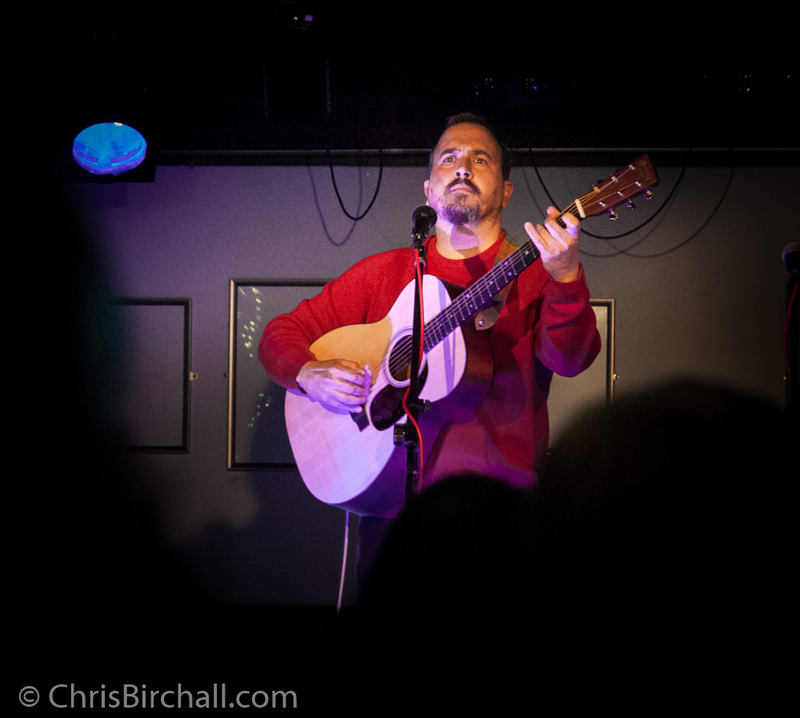 The performance was in the form of a concert with a narrative, with Gary imparting snippets of information that he had gleaned during his journey, about the background to each of the songs. After “April Come She May”, Gary introduced “Homeward Bound” with that very tale that I eluded to at the start of this review. Just before finishing off this first ten-song set with “America” and “The Boxer”, Gary treated the audience to a taste of his own compositions, which sat with surprising ease alongside Paul Simon’s 60s and 70’s classics. Entitled “Free Falling”, it is a song he wrote as a tribute to a friend who’d been a fan of the Tom Petty song of the same name, who’d tragically taken his own life during a bout of depression. Mingling during the break, I heard nothing but praise as these Paul Simon enthusiasts compared notes and opinions. 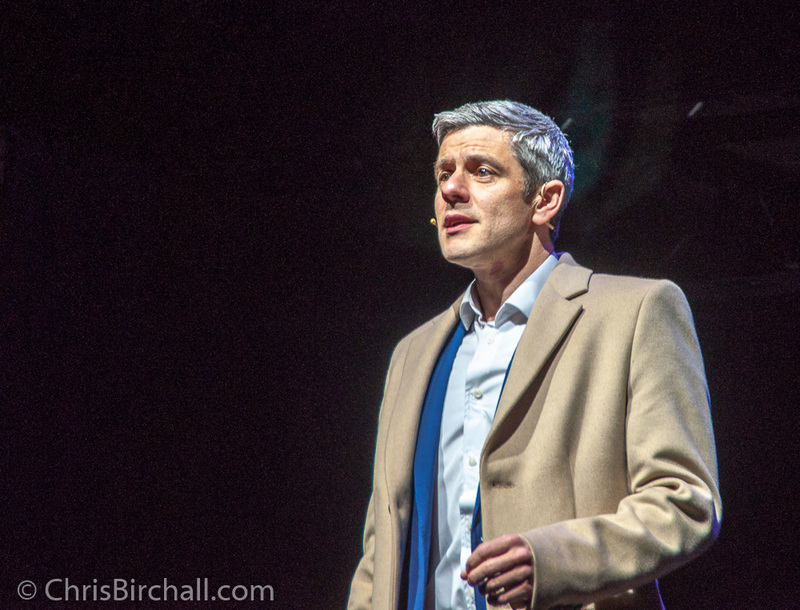 “The Only Living Boy in New York” was the opener for the second half of the evening, and half way through the set of seven, Gary sang another of his own, the beautiful and poignant “Oceans”. “Fifty Ways…”, Slip Sliding…” and “Hearts and Bones” took is to that point where everybody bays for more. Gary obliged with an encore of “Walk you Home”, a song he’d written for his friends Alan and Dawn Rutherford (who were actually instrumental in setting up this first “Gary Edward Jones sings Paul Simon” gig). And to round off the evening, he made what I considered to be a risky choice by singing “Diamonds on the Soles of Her Shoes” – not one of the best known Paul Simon songs, yet one that required a fair degree of audience participation. My fears were unfounded. 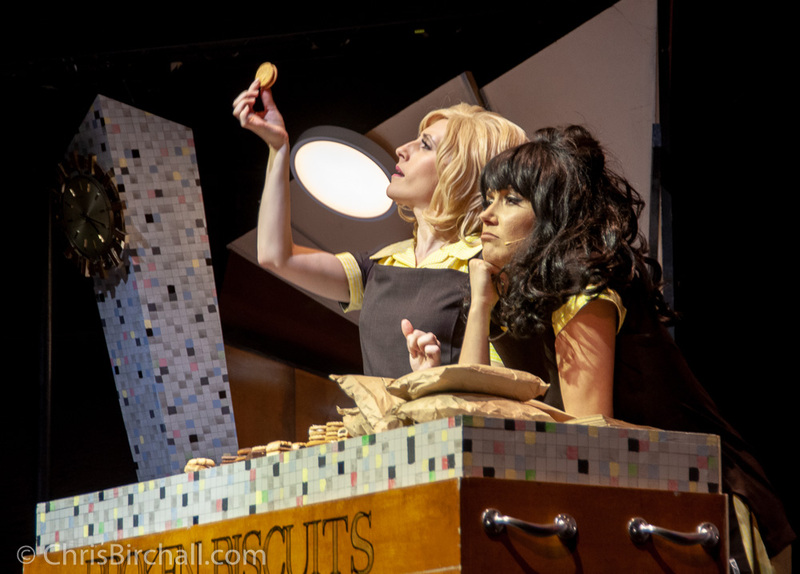 The ladies obliged with the repetitive chant and the gents kept the hand-clap going right up to the end, when it exploded into a full blown enthusiastic applause. We’ve all seen those spammy posts on Facebook that say things like “Share this picture of the New Mercedes (or whatever) and we’ll pick a winner on Friday”. And we all know – or at least we should all know – that they are just click-bait scams and that nobody ever wins the car! 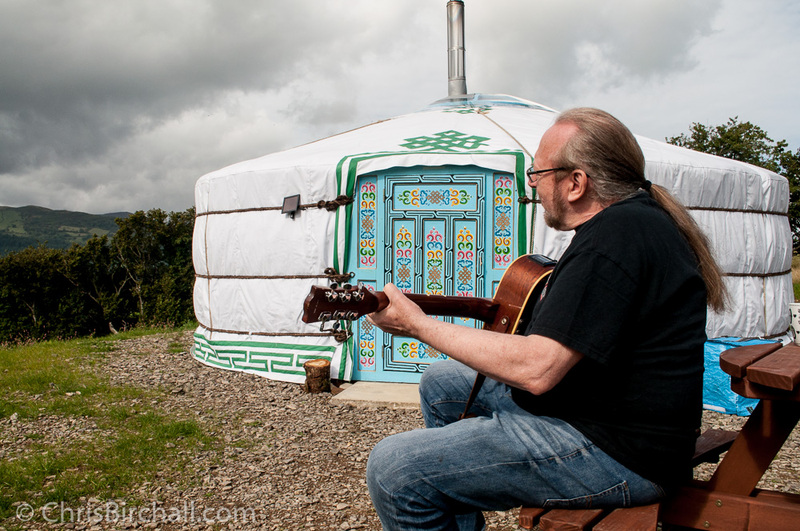 Well last Autumn a “Win a Yurt Holiday” post appeared in my news stream. I skipped past it. 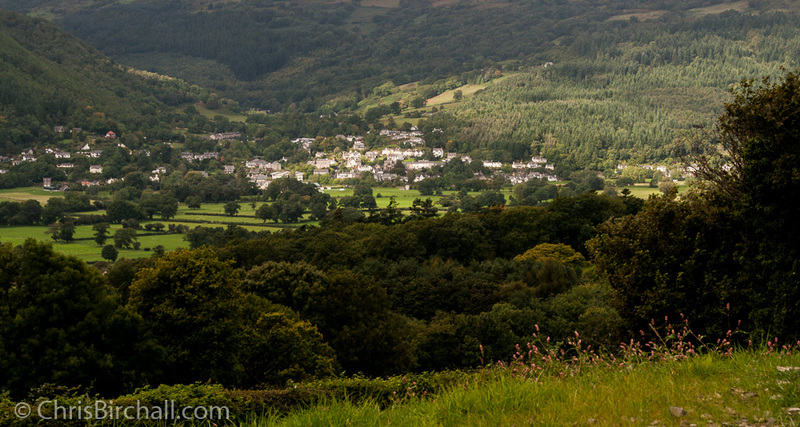 But as I did so, I noticed it was a North Wales Yurt Holiday, and it just didn’t seem fit into the usual scam category. This one was for real! 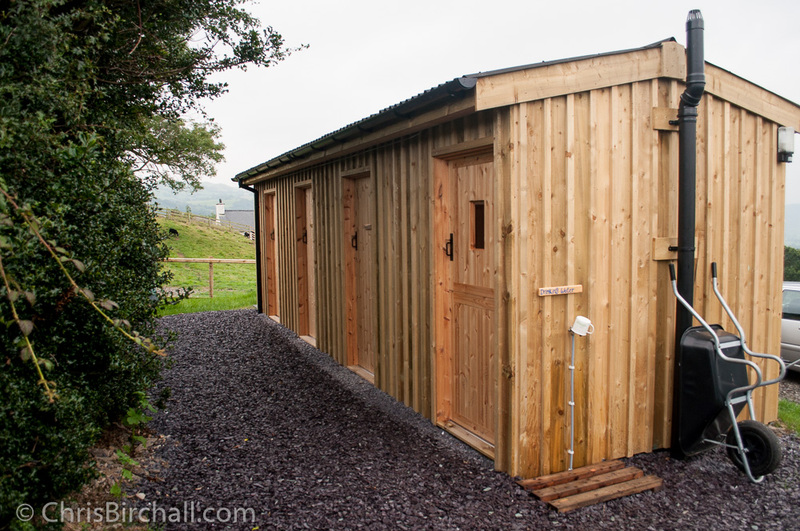 It was a post by a small concern near Llanrwst that was trying to spread the word about their new venture. Now, I know just how hard it is to get the right kind of publicity, so spread the word I did. I clicked “Share” popping the post up in front of fifteen hundred friends and followers, some of whom would hopefully share it with theirs. That’s where social media can be really useful, publicising the little people who might not have huge advertising budgets. 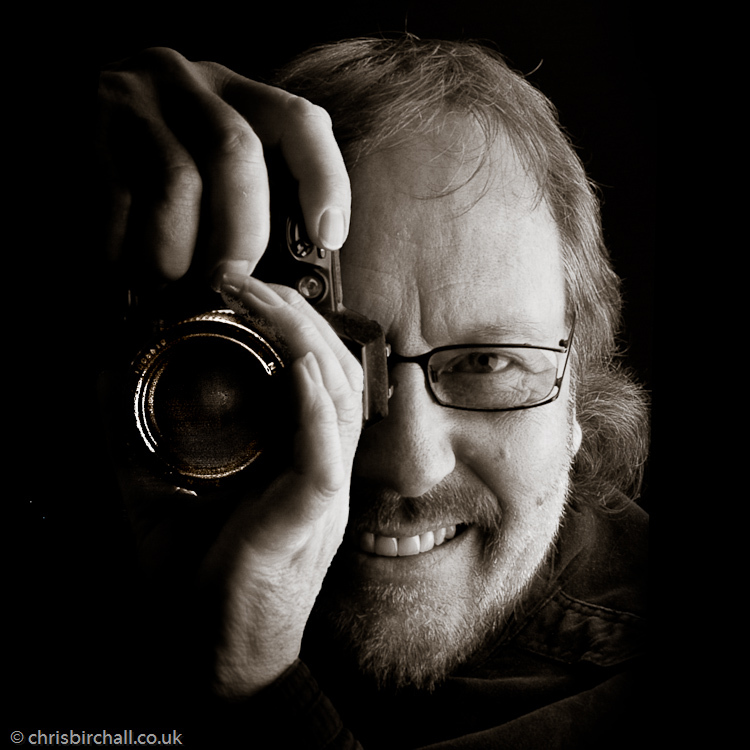 Good deed for the day done, I closed Facebook and got back to my real life – which since I retired seems to involve music, running a folk club and doing theatre reviews more than actual photography. 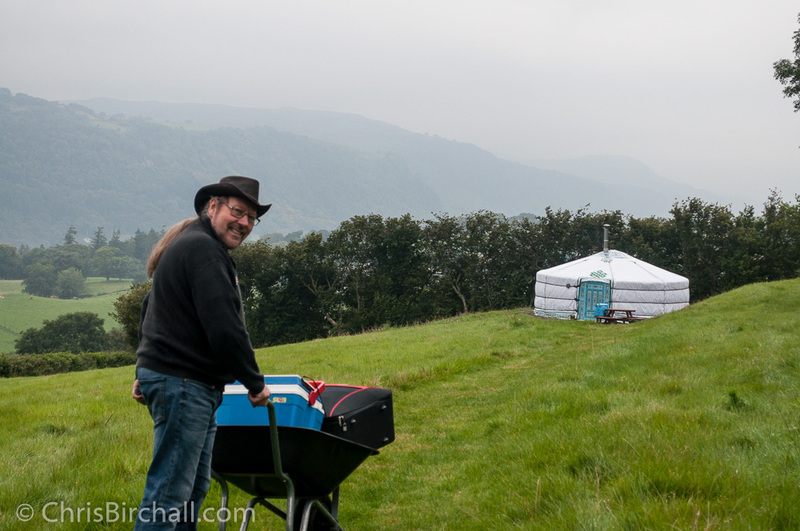 A couple of weeks later, a message appeared in my inbox telling me I had won a long weekend break in a Ffrith Galed Yurt. 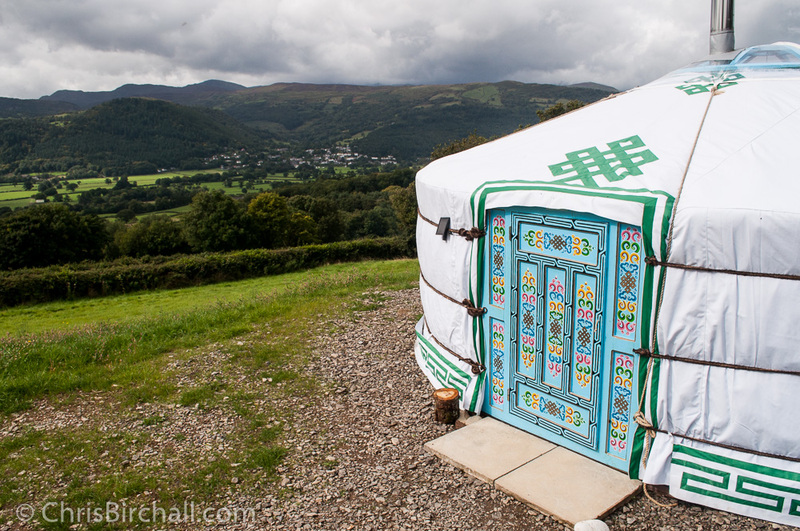 I must confess, all I knew about Yurts was that they are basically posh tents. We’d already had our annual quota of “weekend breaks”, but what the heck. Late September still had a tenuous grip on the fading summer’s warmth, so we gratefully accepted the offer and headed to the Conwy Valley. 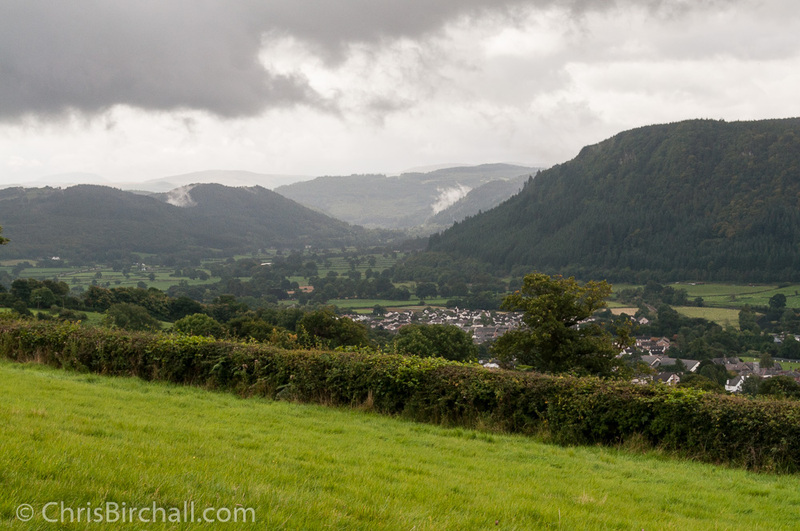 As we approached, we found Ffrith Galed nestled on the hillside above Llanrwst, with the high peaks of Snowdonia to the west and the moorlands and valleys of Hiraethog to the east. The west facing location of the farm offered breath-taking views and stunning sunsets. Because we live in North Wales ourselves, less than fifty miles away in fact, we sometimes take our surroundings for granted. But at that moment I realised that this long weekend would be spent like tourists and enjoyed to the full. Jayne and I have been campers for the last twenty-five years, so we were quite surprised to find a distinct lack of tents and caravans. This is absolutely not a campsite. 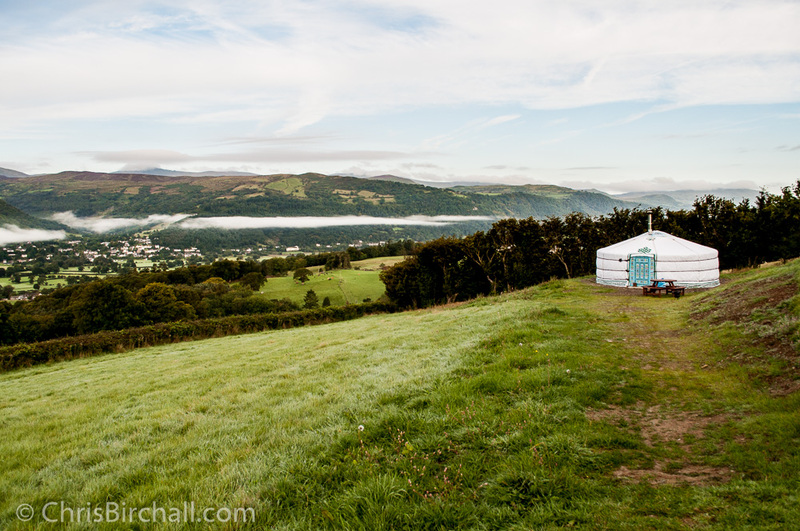 This is literally three Yurts placed in three separate fields, each discreetly out of sight of one another. The view from our ‘home for the weekend’ was of unspoiled countryside and the sounds were minimal and rural. 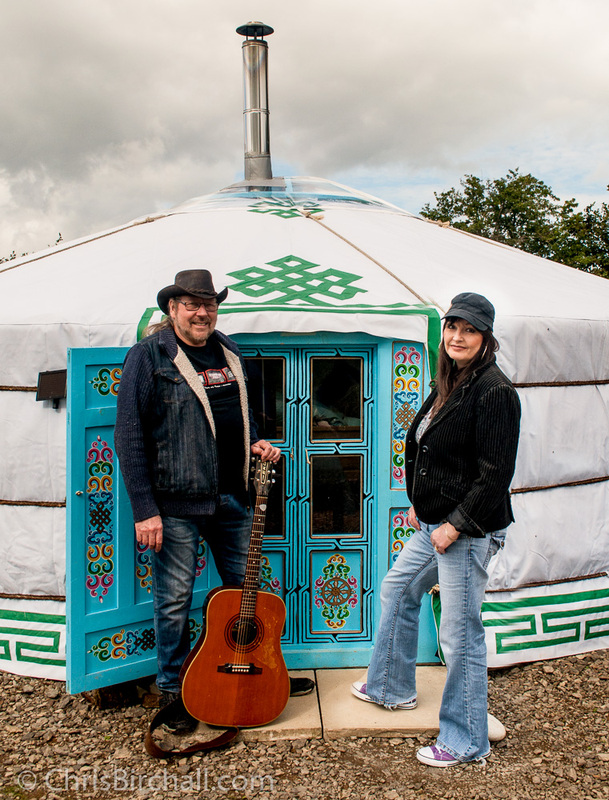 In fact our lovely hosts Jo and Dylan later told us that one of the biggest stumbling blocks when applying for planning permission had been that the authorities didn’t believe they weren’t intending to fill up the three fields with tent pitches and caravan standings. We arrived to find Jo had lit the wood burning stove. 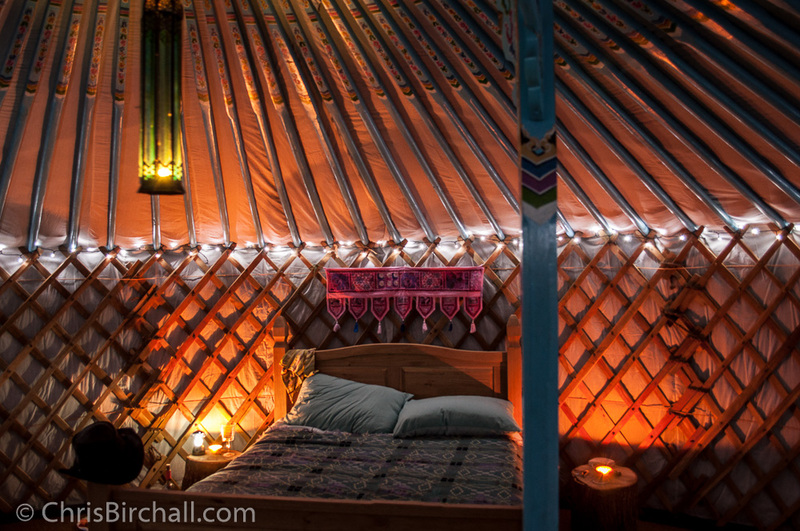 It was early evening and the warmth made the Yurt cosy and inviting against the descending chill. It had been a long and busy day for us, so even though the Yurt had basic but adequate cooking facilities, we decided on a pub supper and headed off to the nearby village. It was dark when we returned to Ffrith Galed and on opening the door of the Yurt we were greeting by the most magical sight. 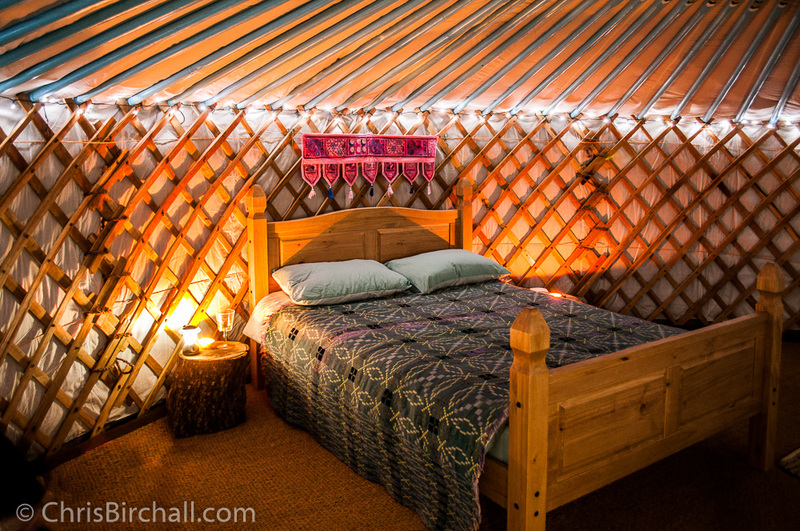 The entire circumference of the Yurt had a string of fairy lights, charged up by a solar cell and automatically switching on at dusk. Along with the beautifully decorated interior structure, the warmth of the wood and the coconut matting, and the amber glow of the wood burner all these things contributed to an ambiance that fair took our breath away. The bed – a proper bed – was comfortable; I mean really comfortable. There was a chair and a futon couch, a little two ring cooker and a basket full of logs. Camping was never before like this! We lit candles and sat drinking wine well into the night, mesmerised by the fairytale atmosphere, before closing the damper on the stove and crawling off to bed. In the morning, the full impact of the location revealed itself. We looked down upon a valley shrouded in clouds. The sun, coming up over the horizon, gently kissed the tops of those clouds and delineated the rolling slopes of the hillsides opposite and cast long shadows of trees that were preparing to exchange their green capes for red and gold. And whilst our eyes feasted upon the vista our ears were met by the distant bleating of sheep and the call of a buzzard, and the only acknowledgement of modern times was the distant sound of a John Deer tractor doing its morning rounds of the fields. 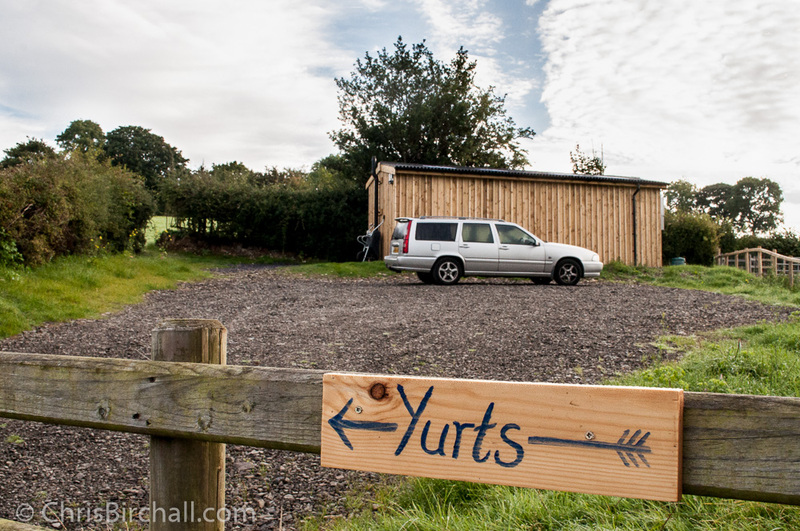 Each of the three Yurts are situated a hundred and fifty yards or so, in opposite directions, from the car park and facilities block. This purpose built timber block houses a small communal kitchen area with dish washing facilities and a fridge. 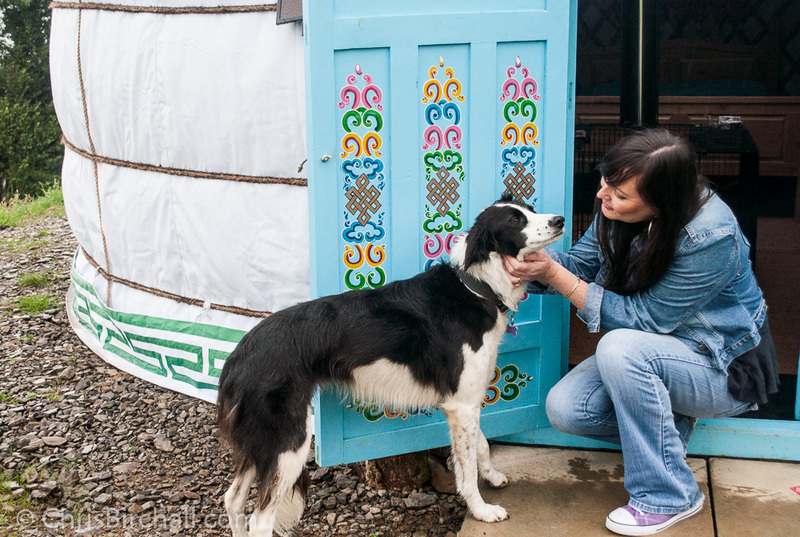 And there is a separate private shower room and toilet for each Yurt. 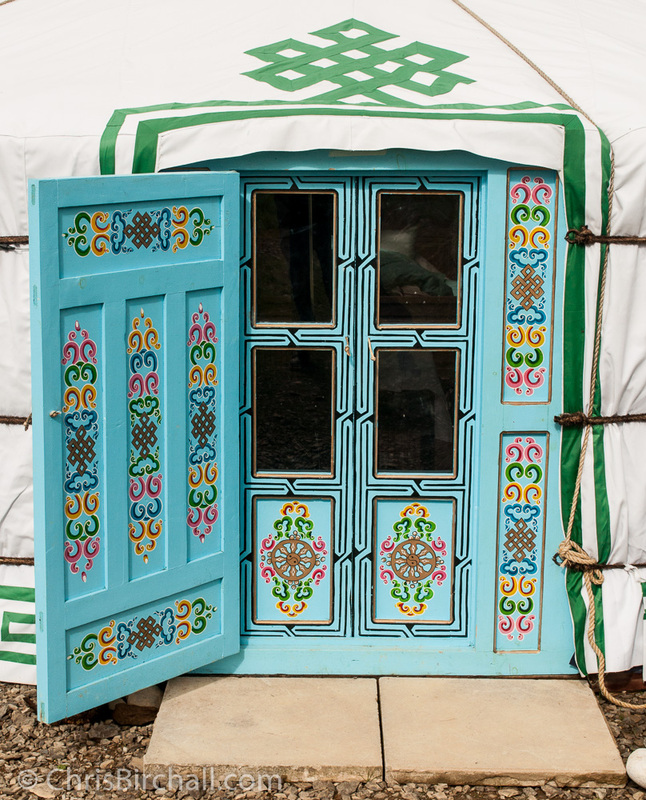 It is clean and well kept with lots of nice little touches such as clean new wheelbarrows, provided for the purpose of ferrying your belongings from the car park down the footpath to your Yurt. 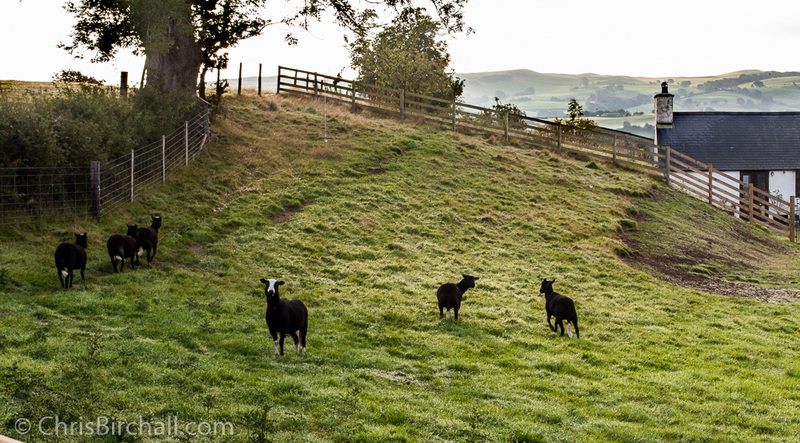 All you could hear was sheep – oh, and some bloke warbling! 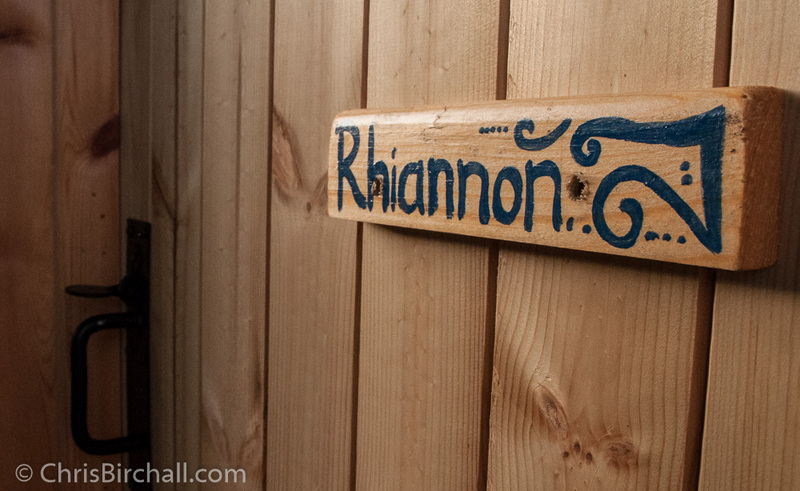 If you fancy a break in the solitude and seclusion of the countryside, whilst being within easy reach of the North Wales Coast and Snowdonia with all its tourist attractions, then for your perfect holiday I can’t recommend Ffrith Galed Yurts highly enough. You can enjoy great outdoors without compromising on comfort. Glamping at its best. It’s like camping but without the creepy crawlies. 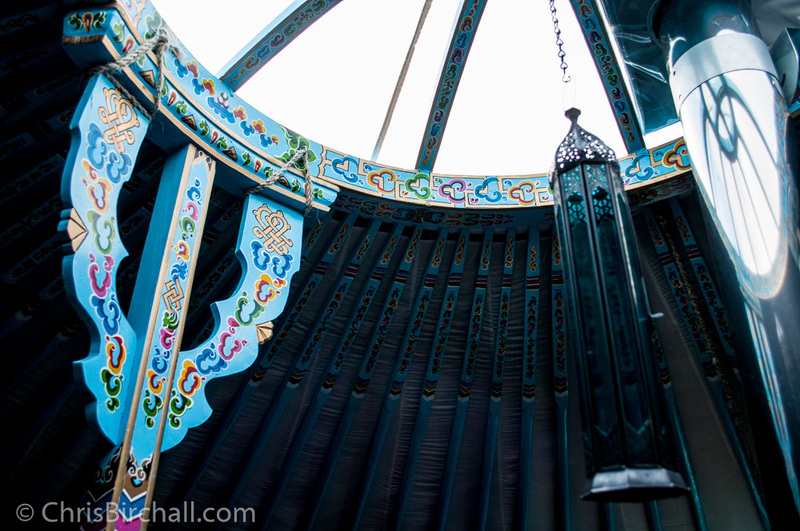 So what is a Yurt? 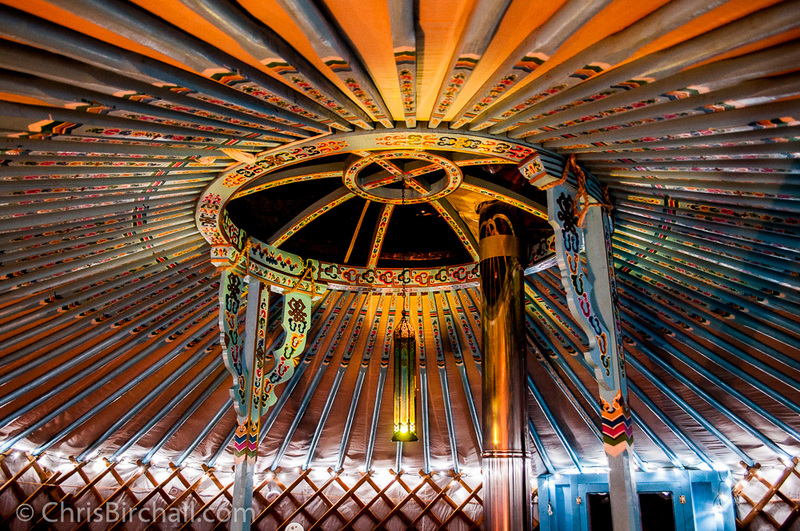 A traditional yurt is basically a round tent covered with skins or felt and used as a dwelling by nomads in the steppes of Central Asia. These at Ffrith Galed are more akin to the Mongolian Ger whose structure comprises a cylindrical latticework wall with a door frame, wooden poles forming the rafters and a steam-bent wheel crown as the top supporting a Plexiglas dome. 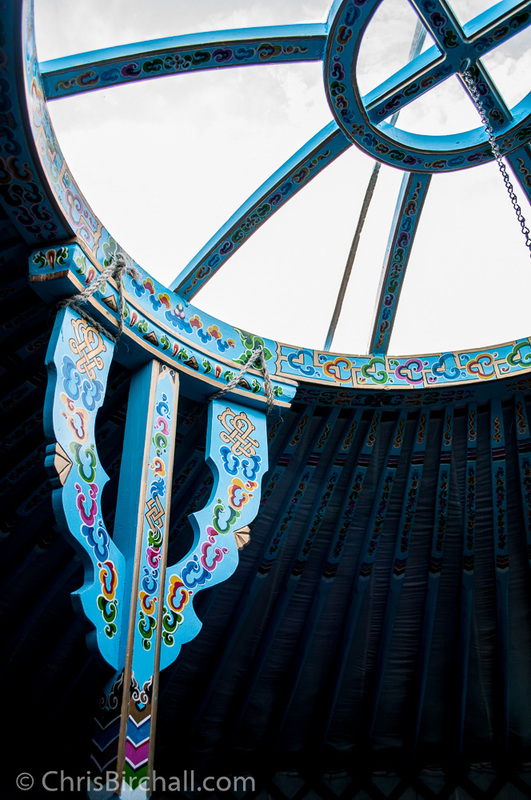 Unlike tents which have a thin outer canvas and an inner skin, these yurts have a covering of thick felt inside a waterproof membrane to keep the warmth in and the wet out. 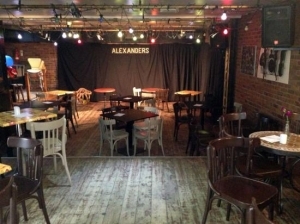 They are built on a wooden platform carpeted in jute. Mother Nature personified through the voice of Julia Roberts. Both are beautiful, but only one is vital to our well-being. And understand what we hear. And act upon what we understand. Tomorrow it could be too late. 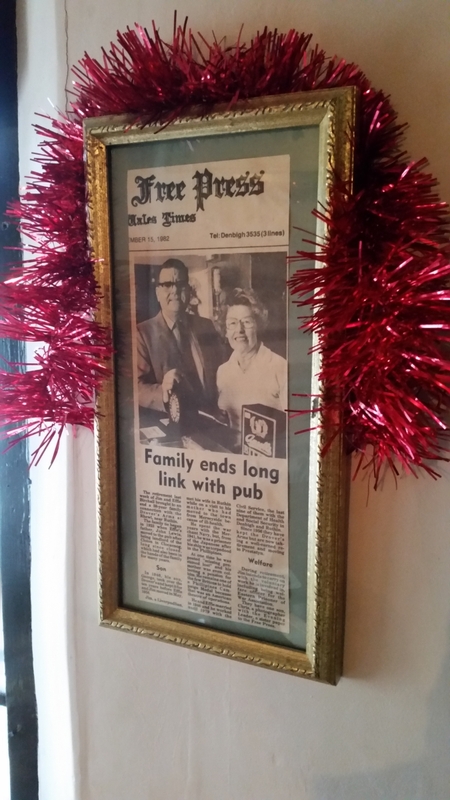 After a nice Boxing Day walk up Lady Bagot’s Drive, we called in at the Drovers Arms in Rhewl and found this framed press cutting from September 1982 with a picture I had taken of Mum and Dad when they retired from running the pub after 26 years. They had taken over the tenancy in 1956 from my Mum’s brother George and before him, my grandfather John Lewis. A lot has changed since then, sadly not all for the better. Five minutes into enjoying my Guinness, another couple walked in, and were greeted with “We’re closed”. Then the cheery Christmas tree lights were switched off. A couple of minutes later another gent walked in… “We’re closed”. 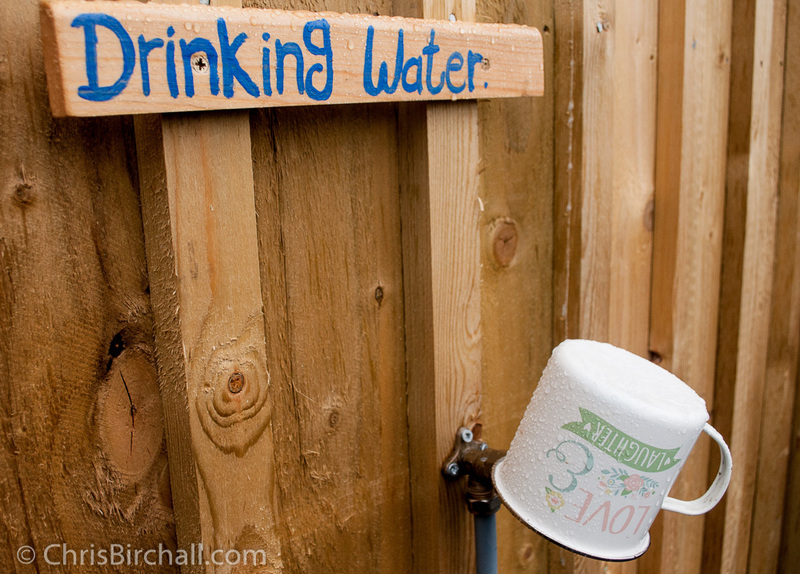 I couldn’t believe the way the landlord was speaking to people bringing him custom. My dear old Mum and Dad, overseeing this from their gilded picture frame, would have been turning in their graves! As the still thirsty traveller vacated the building, the landlord switched off the remaining lights in the area where we were sitting, me with half of my Guinness still remaining. Obviously aggrieved at the fact we hadn’t taken the hint and leapt up the minute the tree lights had gone out, he snapped: “Finish off now”. I interpreted this to mean “We’ve had your money, now sod off”. I am utterly astonished at the lack of Christmas Cheer being shown to customers at a time when pubs locally are closing down at an alarming rate. It saddens me to say, that will be the last time I shall darken the door of the inn that was my family home for almost sixty years. Meanwhile, I’d like to wish you all a Happy and Prosperous New Year. 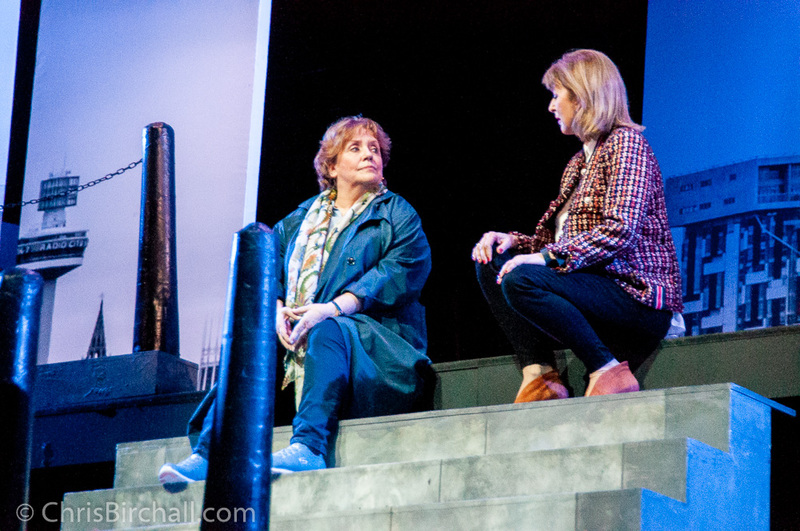 All except the present incumbent of the Drovers, that is! The good old days. Mum and Dad (Jim and Effie Birchall) at the Drovers in the fifties, and a painting by the late Arthur Dalrymple.